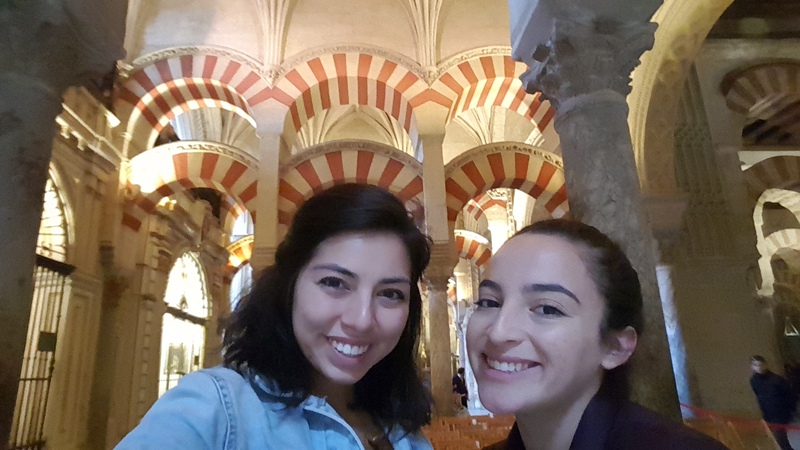 Hello all, here as promised, are my top travel life lessons learned while studying abroad in Madrid! 1. There is a huge difference between evening Thursday flights when there's work the next day and early Monday morning flights when everyone and their mother is coming back from their weekend trips. Plan to be at the airport 2 hours early on those days to avoid stress and dirty looks from those folks you had to cut in line in order to board in time. And the security agents. And the gate attendants. Look, I learned my lesson, and trust me it is best for everyone if you aren’t running late. 2. PLAN TRIPS EARLY. The longer you wait the less money you will have. Have an idea of what you want to do, adjust to your schedule, find some friends, and book it. 2a) Even if you order early, don't forget to actually book the right tickets because GO EURO AUTOMATICALLY FILLS A DATE IN MAKE SURE YOU REFRESH WITH YOUR CORRECT DATES not that that happened to me... Ok, it totally happened and I found out right before I left for a weekend trip that I had booked tickets for two weeks prior. Thankfully I was reimbursed most of the money, but I learned (yet again) a valuable travel lesson. 3. Make an adaptable checklist and you can use for any trip. Believe me, you don't want to have to be in a city you don't know well without pajamas. Or, for the visually impaired, contacts. At least I had my glasses with me. Some things from my own experience that are often easy to overlook are travel adapters, toothpaste and keys to return home! You also want to make sure you've printed out all the passes you need to, whether they're for transportation or attractions. 20 minutes spent looking for a place to print tickets for the Alhambra taught me that one. 4. Let adventure happen: as tempting as it is to pack all the tourist attractions in to your trip, allow for unstructured time to explore the city! Walking along the streets you never know what you may find! 4a). That being said, do your research ahead of time. Find out what the things you might want to see in the city, what kinds of food you'd like to try. It makes the time you spend there worth it! 6. Make sure you have enough cash with you. In Europe there are many places that won’t take card. Protip: Bankia ATMs don’t charge a fee! It is a life saver in Spain to find one and be able to get the money you need, but make sure you have enough before you leave! 7. Remember that studying abroad technically isn't a vacation-- you may not have as much time as you'd like to visit someplace. Don't stress about all of the things you could do, enjoy it while you're there. Make a list of the absolute top things you definitely want to do while you're there, a list of things you'd like to do if there's time and plan accordingly. Being anxious about not seeing the whole city will only make you and anyone you travel with miserable. And, if you need to, bring work you can do with you to do on the plane or bus, I’ll tell you, that six-hour bus ride from Madrid to Sevilla is a doozy. All in all, there will be travel mishaps, no matter how many precautions you take. But, planning better definitely improved my travel experiences and made me feel much more self-sufficient!